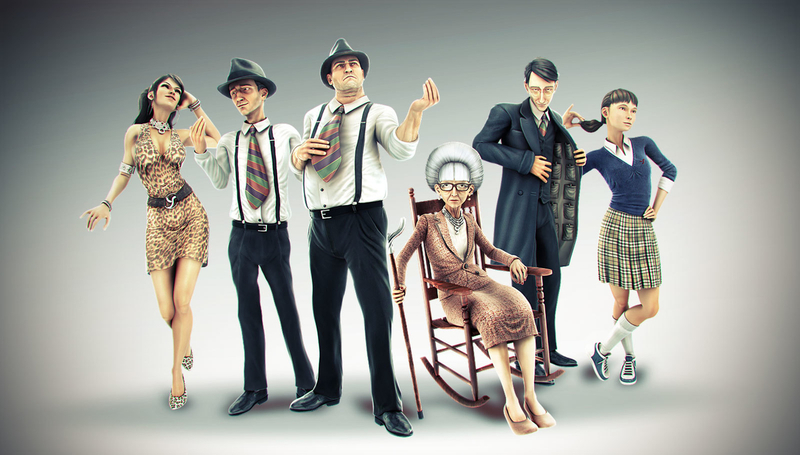 Introducing the ColrYorns: a fully 3d animated ”mafia family” style characters. Main concept was to achieve a look between video games (GTA and Mafia references) and a more realistic and polished look. The whole project was made for a 40’ tv spot hi-res prints as well as web interface. This is a promotional piece i've made using the final poses for Hi-res posters. Credits for this image are José Alves da Silva (aka Zeoyn) for Characters and myself for Lighting/Rendering/Compositing. My part was all Lighting and Rendering, as well as some specific shading; compositing, hi-res rendering, Vfx (smoke, water fx) and last but not least physics simulations.